We attain to true vision and knowledge, and thus praise, superessentially, him who is superessential. This is the negative metaphorical language used to approach the divine, in thought and description. It captures the mystery of such verbalization: A dizzying, self-negating language is required to move into the divine nimbus. I like to think of it as stepping purposefully but backward into the unknown. Or, as Robert Duncan puts it, “The seed of poetry itself sprang to life in the darkness of a ground of words heard and seen that were a congregation of sounds and figures previous to dictionary meaning.”7 Though Duncan is referring to the prerational language of childhood, he is pointing to the precognitive, divine language of creation as well. begin to unmean what they signify as well, suggesting all along a higher reality of meaning to which the work at hand alludes. Just as anagogy can carry the mind over, to use Hopkins’s description, so too can metaphor. 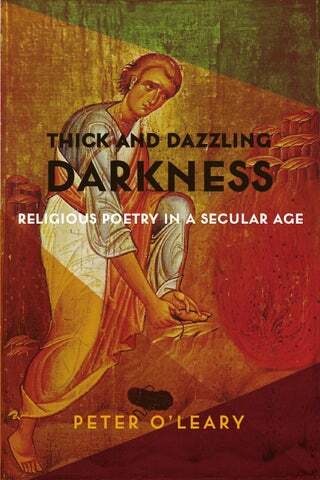 The works of the poets explored in Thick and Dazzling Darkness are directly and anagogically religious, providing as they do literary epitomes for religious expression and experience. grettable, feature of Eliot’s critical theory is his avoidance of the term ‘imagination,’ except in the phrase ‘auditory imagination’ at the furthest remove from the poetic product.”51 This avoidance is ironically present in Eliot’s poetry, argues Frye, insisting that the imaginative world of the poems must be approached through its imagery, which, he suggests, consists of innocence and paradise contrasted to images of experience and torment (or hell). Madame Sosostris is a satirical character whose forecasts are oracles of the mundane, of ennui, which in Eliot, as Frye points out, is “not so much sin as a state of sin.”52 In H.D.’s poetry, Madame Sosostris would simply be the oracle herself, without irony. Both poets are responding in part to the religious anxieties of the age in psychological, esoteric, and apocalyptic language, Eliot in a high ironic style, H.D. more earnestly. imperative in writing and reading poetry. Like H.D., Duncan is exemplary of the poets addressed in this book because he insists on understanding poetry under a vatic, prophetic, mantic sign. We live in a secular age, there’s no question. And most of our art reflects that age, if only by dint of mimetic necessity. The poets I have chosen to study in this book are unified by a kind of religious calling in poetry, drawn along the lines Duncan spells out in The H.D. Book. Each presents an individual but connected response to the fact of the secular age, stepping, in Moses-fashion, into the thick darkness where God is, which, often enough, is hidden not in the dazzle of religious revelation but in the obscure drudgery of a world from which forms of sacred meaning have been dutifully drained, like water from unwanted marshland. Frank Samperi, working in almost total obscurity, found himself aroused to a melancholic, angelic vision. Robinson Jeffers, mystic and misanthrope, perched himself in a stone tower built by his own hands overlooking the Pacific to watch in rapt gloom as the Western world declined into darkness once and for all. Geoffrey Hill’s later poetry argues for a psychopharmacological spilling of prophetic spleen as omen for a new century. Robert Duncan’s prophetic frustrations envision celestial diseases as angelic presences to counteract political insipidity. Fanny Howe’s poetry of Catholic conversion glares its spotlight on injustice and destitution. Lissa Wolsak writes a poetry of revelatory fragmentation to serve as heuristic prolusion for a poetry to come. Nathaniel Mackey’s Gnostic chants of antiepistemological quest give the lie to spiritual resolution in religious searching. And, finally, Joseph Donahue’s visionary projections and Pam Rehm’s plainspoken rue ally to provide an apocalyptic way forward for poetry. Speaking for them all, I might have them say, “Our work is to arouse in a contemporary consciousness reverberations of religious intensity.” Specifically, the work of these poets suggests that a secular art, even in a secular age, is insufficient for representing reality completely. There must be sacred art. For poets, this means there must be religious poetry written. 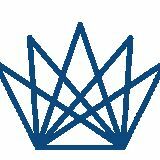 C O L U M B I A U N I V E RS I T Y P RE S S N E W YO R K cup.columbia.edu printed in the u.s.a.